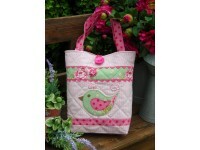 Home :: Patterns - Quilting & Stitchery :: Bags :: Hopscotch Bag Pattern by Sally Giblin 12" x 20"
Hopscotch Bag Pattern designed by Sally Giblin, Rivendale Collection. 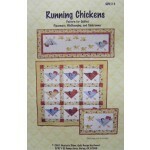 Pattern includes instructions for stitchery, applique and bag. Finished size 12 X 20"